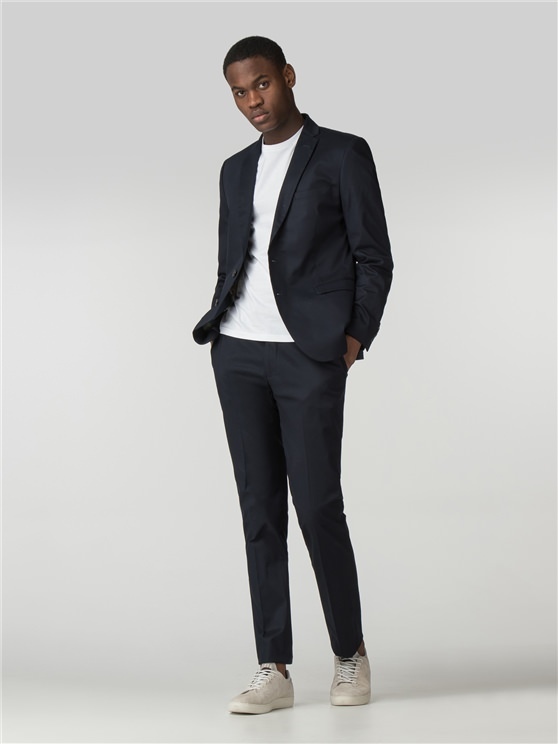 Our Ben Sherman tailoring is crafted on the modern Camden Fit block; a sharp, skinny fit cut with slim lapels and soft sloped shoulders for a mod silhouette. Inspired and considered suit details give a subtle nod to brand heritage. 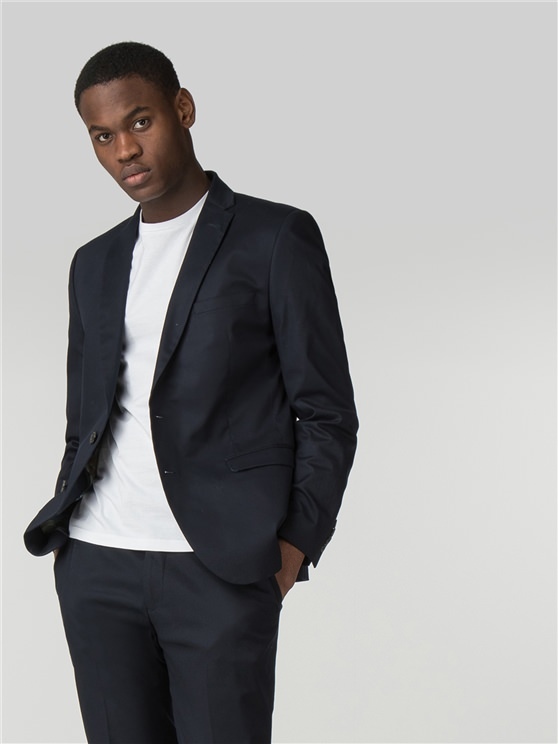 This navy cotton suit jacket lends itself nicely to casual tailoring. 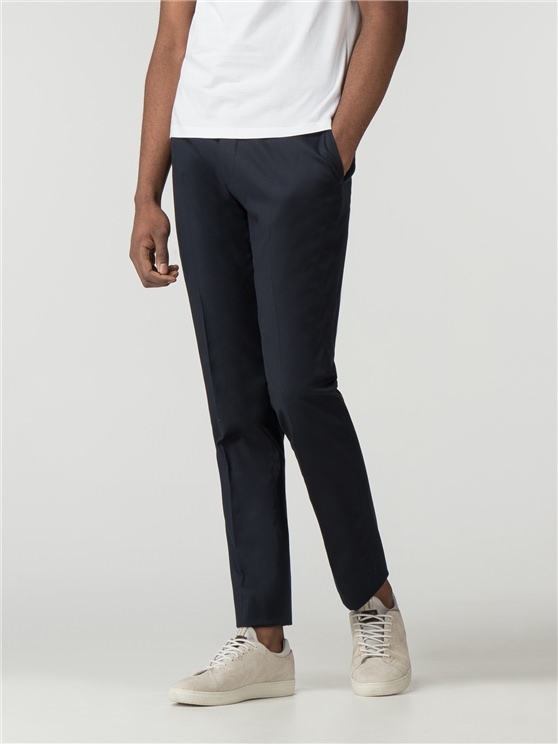 For relaxed, easy menswear, wear this dark blue blazer with a tee and trainers - then capsulise the collection by styling out with pieces from across the range.